I'm going to maui next year. I want a trip that's not all touristy. More adventurous and what the locals do. Can anyone tell me the "must dos of maui"? Any car rental suggestions? I know they don't like tourists driving through the backside of Maui so what would you suggest for us? Are the goats one of the reason this area looks so scrubby? They can't be good for natives plants. Blue Lagoon but the humans are the reason goats are there. They are super invasive. AngryOctopus ...not really, a necessary evil controlling non-native plants and weeds and confined to specific problem areas, no need to eco-pontificate...lolz!!! You can chill-ax now. Goat poo makes great fertilizer for native plants! hey Kalani, can you do a vlog of the road between Wailea and upcountry? Can you compare the 250l power to the 250r power? The R is the Racing spec bike and the L is for commuting. I don't know the correct terms But even though the engine size is the same the ECU mapping is different. So the power delivery, gearing & throttle response is a lot more "violent" with the 250r. Think of the 250r as a turbo/super-charged 250L. Hey Aloha Stoked! I just came back from Maui 4 days ago and just gotta say that all your videos provided extremely useful knowledge for our recent trip. Everything from the Haleakala Bike Company and sunrise video to the beautiful Road to Hana video montage, I wouldn't have called my trip such a success if it wasn't for your help! So just wanted to express my sincerest mahalo to you! I love this latest video of yours too btw! Just exactly a week ago me and my friend drove the Road to Hana and the whole south east end in our Wrangler rental, and this video is bringing back sweet memories. 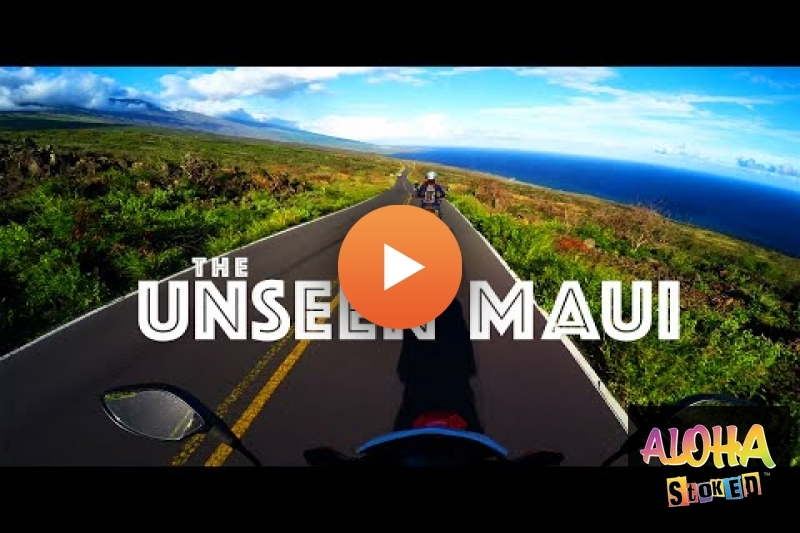 I have my Maui vlog uploaded on my channel if you'd like to check it out! Mahalo!